Designed for Accuracy. Optimized for Sensitivity. As leaders in labeling and detection, Enzo offers a wide-ranging portfolio of reagents and kits for the detection, localization, and quantification of antigens and viral DNA in cells. Our reagents and kits are developed in-house by our scientists and are optimized for use with manual and automated ISH and IHC platforms, allowing flexibility while still maintaining high sensitivity and low background staining. As the first company to develop non-radioactive HPV probes for ISH detection, Enzo continues to lead the market with our PATHOGENE® HPV Detection Assays and BIOPROBE ® Virus Detection Assays. 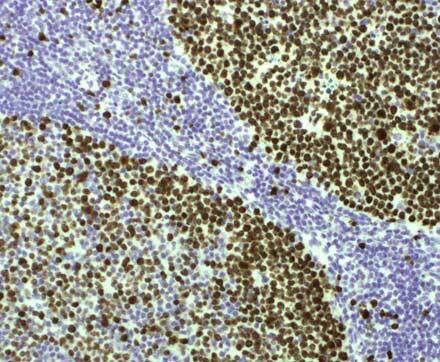 For IHC applications, we offer nanopolymer detection reagents combined with the market’s most extensive palette of unique chromogens to provide low-cost and high-efficiency solutions. For the last forty years, Enzo has been a pioneer and innovator in viral detection probes. 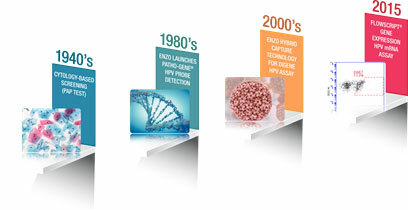 In 1986, Enzo developed the first non-radioactive HPV probes for in situ hybridization detection, allowing researchers to quickly and efficiently detect low-risk and high-risk HPV genotypes. As a developer and manufacturer of cutting-edge HPV detection systems, Enzo continues to bring innovative technologies that provide clinically relevant information to researchers studying human papillomavirus to the market. PATHO-GENE® HPV probes enable detection of viral DNA in fresh or FFPE tissue sections. Discover our convenient HPV Typing assays and specific biotin-labeled probes for HPV and a variety of common infectious agents. Digoxigenin-based detection overcomes high background or false positives that may arise from endogenous biotin in biological samples when using biotin-based detection. Enzo’s DIGX® HPV probes are available to detect 3 different HPV genotypes, associated with different risks for cancer progression. Ready-to-use biotinylated probes for ISH detection, capable of detecting a wide variety of targets, including Adenovirus, Blur-8, and CMV. 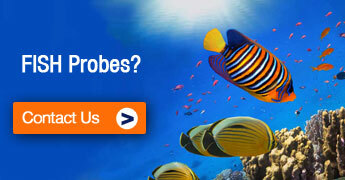 FLOWSCRIPT® is a unique technology that uses oligonucleotide probes to detect mRNA in intact cells via flow cytometry. It is a homogenous system that eliminates post-hybridization wash steps, minimizing leakage and signal degradation. FLOWSCRIPT uses a proprietary technology that incorporates a fluorophore and quencher pair into the probe design to enable homogenous phase detection of mRNA by hybridization. This allows for an efficient work flow with low sample input volume and compatibility with antibody labeling and cellular dyes. Our FLOWSCRIPT HPV E6/E7 Assay uses this unique technology for the single cell detection of mRNAs for HPV oncoproteins E6 and E7. For decades, immunohistochemistry (IHC) has been an invaluable tool for the detection, localization, and quantification of antigens in preserved tissue for research and diagnostic purposes. Continuing our position as a leader in detection technologies, Enzo Life Sciences offers a complete set of tools to help improve the quality and efficiency of your IHC process from start to finish. Our high-sensitivity, low background labeling reagents, combined with the market’s most extensive palette of unique chromogens, provide the flexibility needed for simple or complex protocols. Our convenient kits, an extensive catalog of IHC-validated antibodies, and high definition chromogens enable accurate, reproducible multiplex detection of two or more antigens in the same sample, increasing efficiency and preserving precious tissue samples. 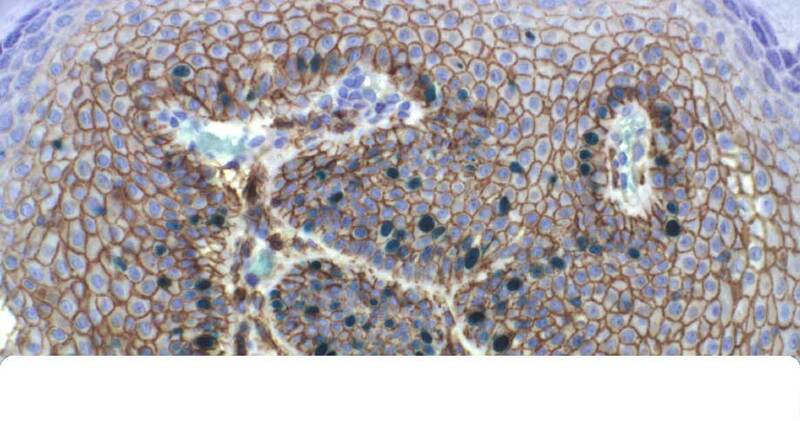 Superior MULTIVIEW® PLUS IHC kits for efficient detection of multiple antigens in a single tissue sample.
" 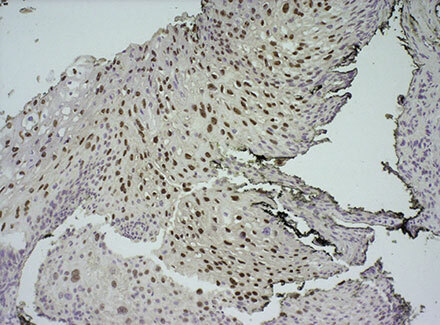 The POLYVIEW ® PLUS HRP-DAB (Anti-Rabbit) kit worked very well; there was no background and the protocol is faster than many other IHC kits available commercially. I would surely recommend it. I was really happy with the POLYVIEW® PLUS HRP-DAB (Anti-Mouse) kit too." " We tested Enzo’s POLYVIEW® IHC detection reagents and HIGHDEF® chromogens on our immunohistochemical autostainers against similar available detection reagents and chromogens. We found that Enzo’s detection reagents and chromogens matched or exceeded what we currently used, allowing for increased sensitivity and specificity when used against both human and murine tissue." Fluorescent dye-dUTPs are well recognized as superior to analogous methods using cumbersome indirect two-step labeling methods. When coupled with the Nick Translation DNA Labeling System, this direct approach provides a simple and efficient method to label DNA for FISH, suitable for a wide range of molecular biology and cytogenetics applications.